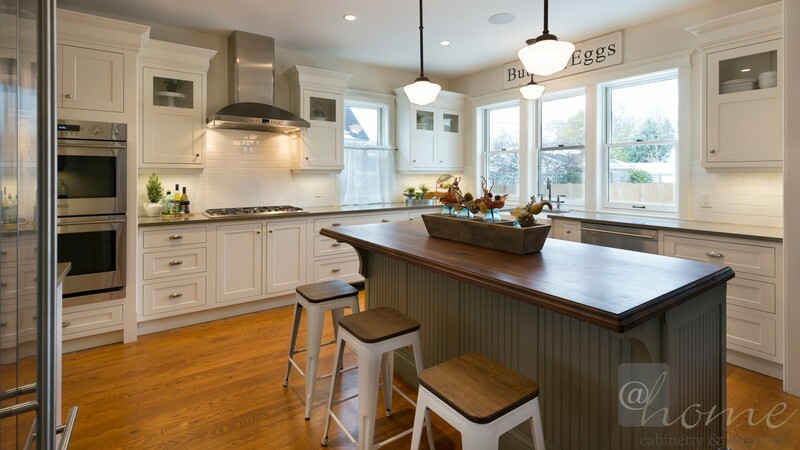 This new build was architecturally designed to harmonize beautifully in Traverse City’s old town district. 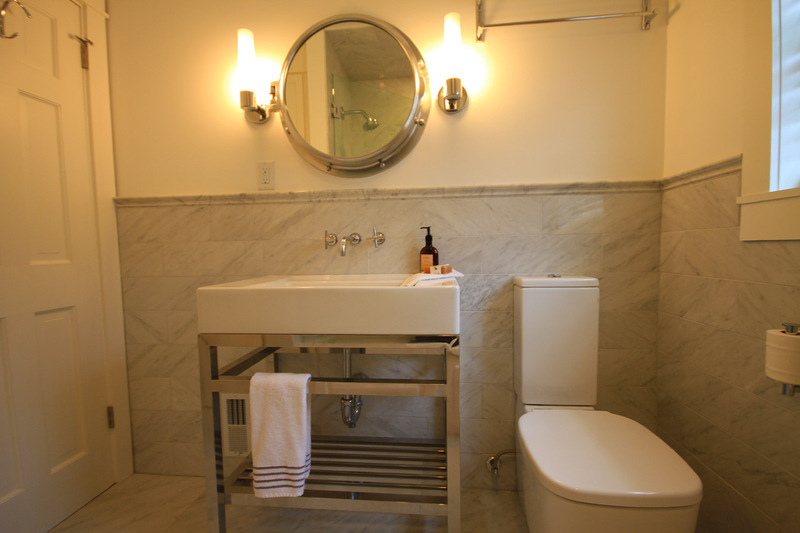 The lady of the house is an artist with a great sense of style and eye for exceptional detail. 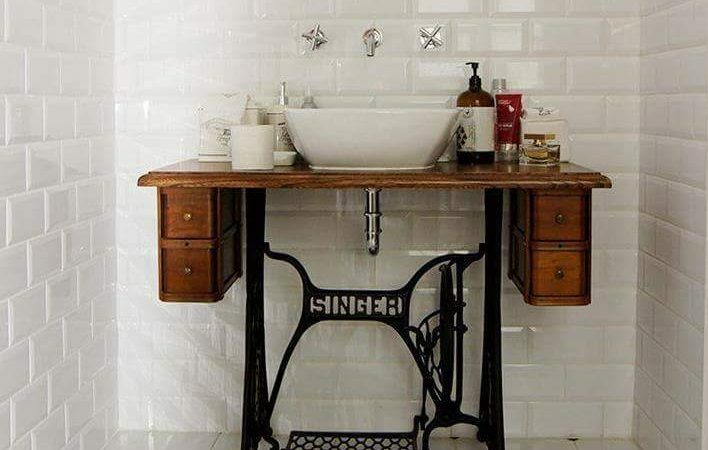 We aimed to capture the ease and charm of a Victorian farm house with all of the conveniences of modern life. 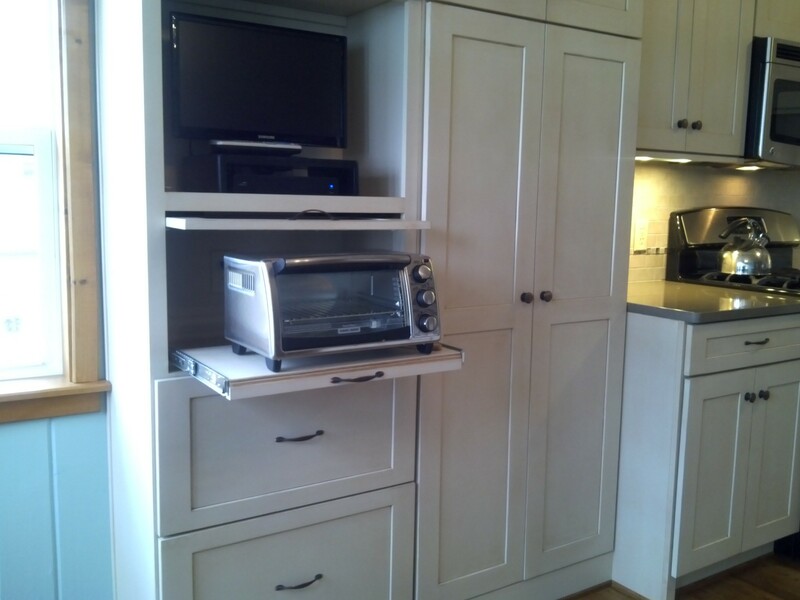 Bakers center: Island features a Pop up mixer stand, cookie sheet storage, and a drawer specifically designed to house a favorite inherited rolling pin. 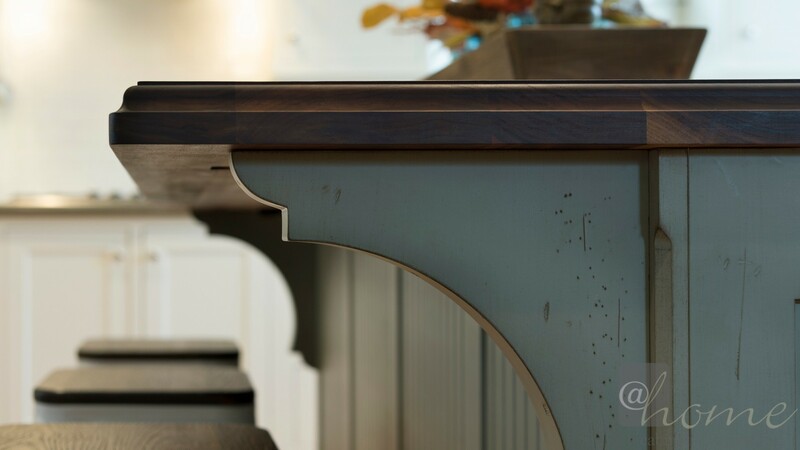 The island has details that are inspired from antique furniture pieces. 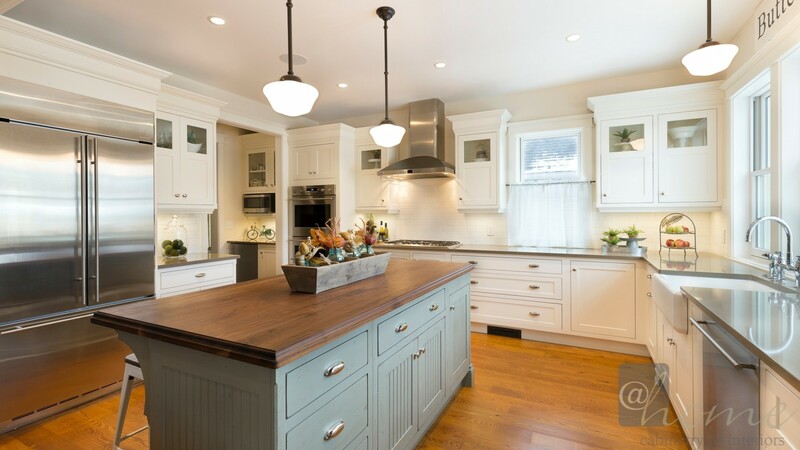 The finish is a casual vintage moss green from our Showplace Inset Cabinetry line. 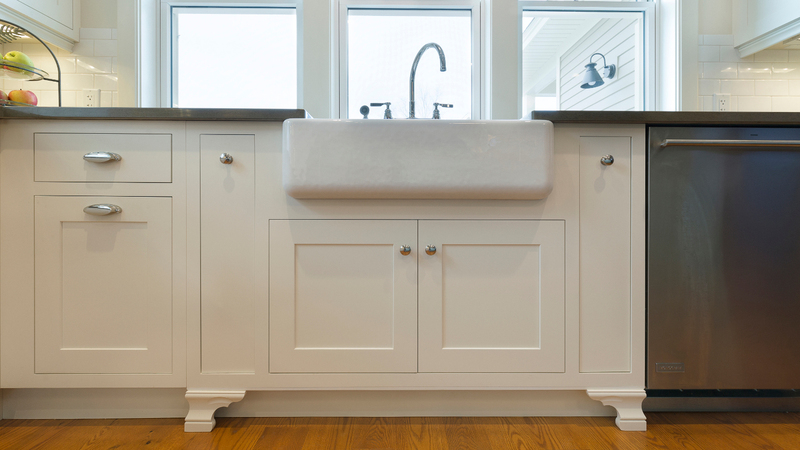 The farm style apron front sink base has handy pullouts that house necessary cleaning aids. 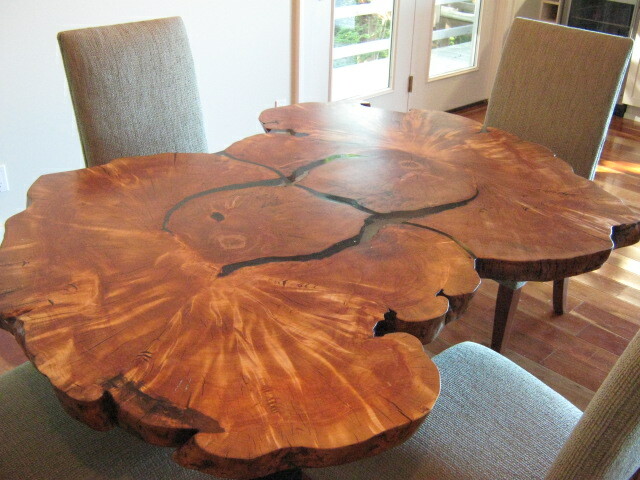 The ogee feet create the charm of a furniture piece. 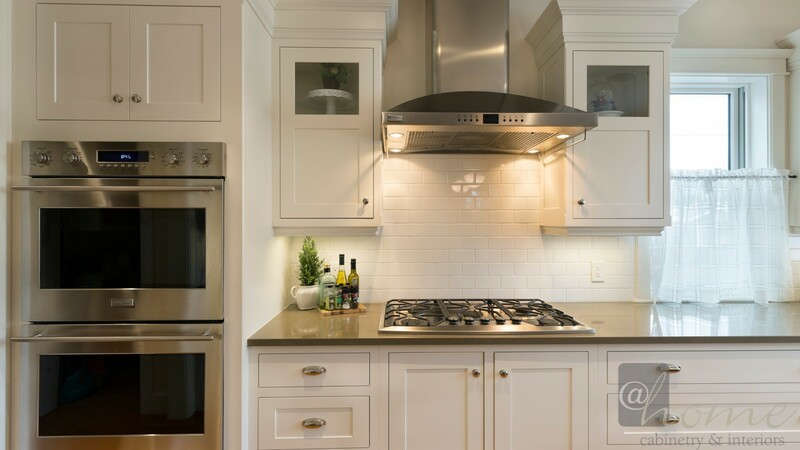 Easy-peasy – behind doors under the cooktop all cookware is neatly organized in chrome rollout storage. 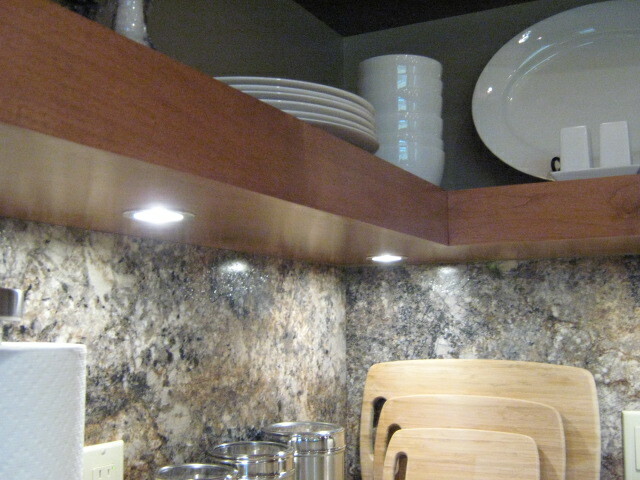 Spices and knives are stored in top drawers of adjacent base cabinets. The organization and function was carefully planned by consulting with the cook of the family. We often put great importance on the front entry way & neglect the family’s primary entrance in to the home. 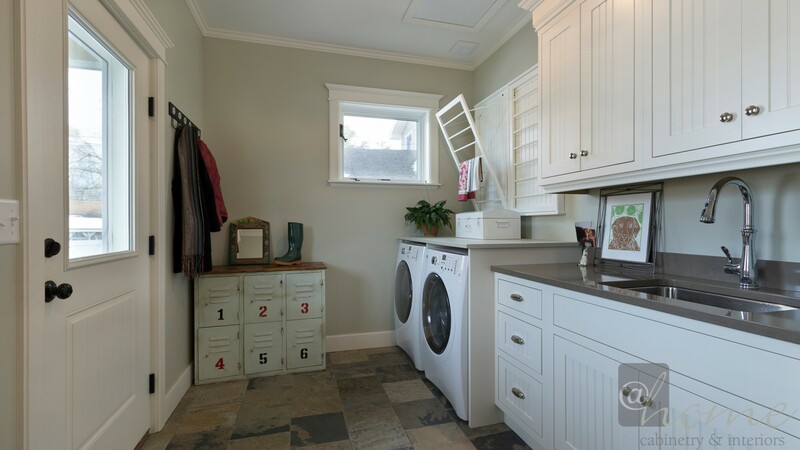 Your “mud room” should be as functional and pretty as the guest entry. This is the last room you see when you start your day & the first one you see when you come home from work! Make it count!